Guaranteed BIGGEST and BEST BBQ Party you will have been to this year or your money BACK! 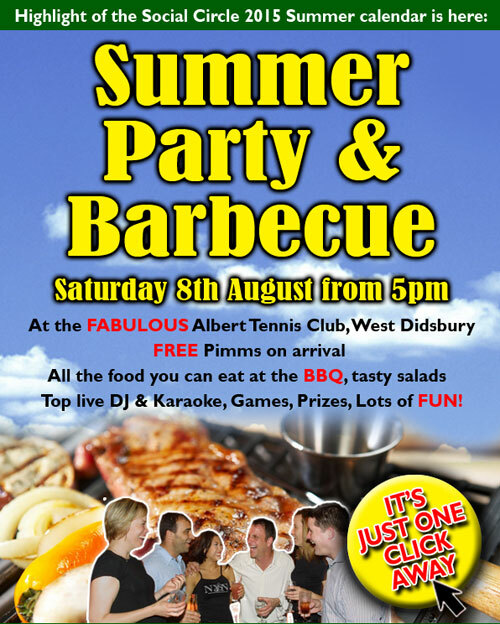 All the food you can eat, Pimms galore, sunshine and a fantastic DJ/Karaoke, its a no brainer! We have hired exclusively the sole use of The Albert Club, 39-41 Old Landsdowne Road, West Didsbury, Manchester M20 2PA. JOIN FOR 3 MONTHS AND GET THIS EVENT 100% FREE! Simply enter promotional code: bbq when joining HERE. The incredible MONSTER BBQ Party - sizzling sociable and deliciously tasty! Attendance in 2014 was 130 people! It's the highlight of our Summer! Set in the Heart of Didsbury our MONSTER BBQ Party is a sell out every single year and one of the most popular events on our Calendar - our brilliant entertainingly sizzling sociable summer 2014 BBQ Party! · A location that has been specially booked just for us to party the late afternoon to late evening away! · Karaoke, games, prizes and more fun than you can handle! You know that summer has well and truly arrived when we host our annual MONSTER BBQ Party - this is one of the largest events on our calendar and is always a HUGE hit! Last year we entertained 130 of you and every single one of you left with a smile on your faces! Enjoy great food (as much as you can eat), DJ, music, dancing, immense social opportunities and an eclectic mix of interesting and fun people. Guaranteed to be the BIGGEST and BEST BBQ Party you will have been to this year or your money BACK! ALL the food you can eat, Pimms galore, sunshine and a fantastic DJ/Karaoke! What more could you want when meeting and mingling with a large number of like-minded people who are enjoying this popular Summer BBQ event. Cost includes: All the food you can eat together with a top live DJ, games, prizes and fun with a Karaoke spinning the sounds to tempt you onto the dance floor.